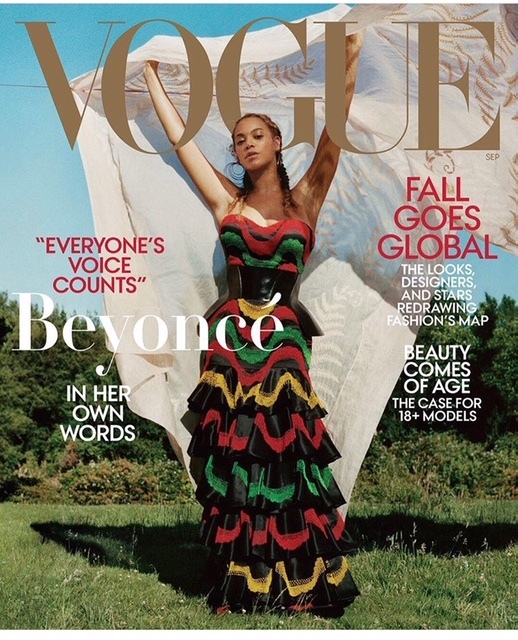 Beyonce is ready for her close-up as she covers the September issue of VOGUE magazine. For this special Issue, the Queen Bee was Photos graphed by Tyler Mitchell, which marks the first time a Black photographer was used to photograph a VOGUE cover in the mag’s 126-year existence. Inside, Beyonce discusses body issues, bouncing back from pregnancy and having the love & support from her husband Jay-Z. Posted on August 6, 2018, in ENTERTAINMENT NEWS. Bookmark the permalink. Leave a comment.